Baby Louisa always puts a smile on my face, such delightful baby!! :) And I laugh so much for her "roar" :D The lion on the card with its envelope looks so cute and sweet and surely it's just perfect for her!! And the French car is just delightful! Thanks for sharing your experiments and for the download of this beautiful image! You do have the sweetest images, Lori! 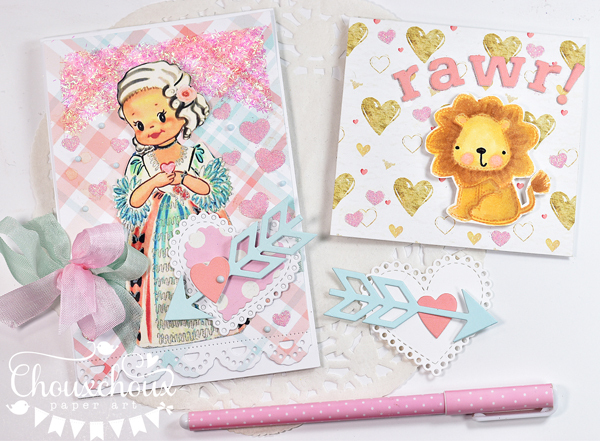 The French Valentine girl is darling & so is the lion! All your efforts were worth it--love the backgrounds! I can only imagine the airport with Louisa roaring when she saw the lion picture! Maybe the school should bring her to their games--haha! She is a cutie & how wonderful to have all that time with her! Glad the new system is in. We remodeled when we came here & it was so much worse than just building a house with all the mess! Gosh Lori, what a lot going on. How lovely to be able to spend some time with Louisa but not so enjoyable having all that building work. 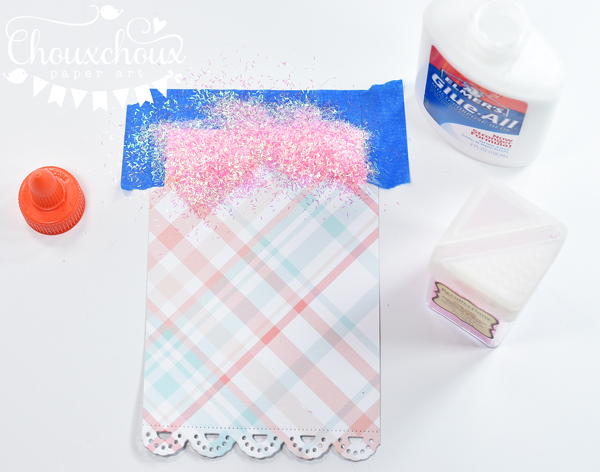 Oh, such sweet images and projects, Lori!! How wonderful to have time with your darling granddaughter, Louisa!! I can relate some to the remodeling mess for my son is remodeling our bathroom. He makes the mess and I clean up all the dust. But, I guess he's doing the hard work, lol! But, glad your new system is in and I'm sure it's worth it now that it's all done! Take care and have a wonderful week! Oh my, how cute Lori! I always download your sweet images. I just LOVE these soft, sweet cards you've created with them. Thanks for the free images once again. They're always just the most adorable, and I'll definitely put them to good use. I'm curious....I never saw a winner for the VOSP Challenge. I saw the winners from the VOSP Blog Hop and I was thrilled to win some more adorable images from Amy. But there's been no word of the Mama Elephant winner. Just thought I'd ask about that. Thank you for reminding me, Sierra! I'll put it in my next post, but the winner selected by InLinkz was Greta! Super cute cards Lori! Love all the hearts and sweet images! Thanks for the inspiration! 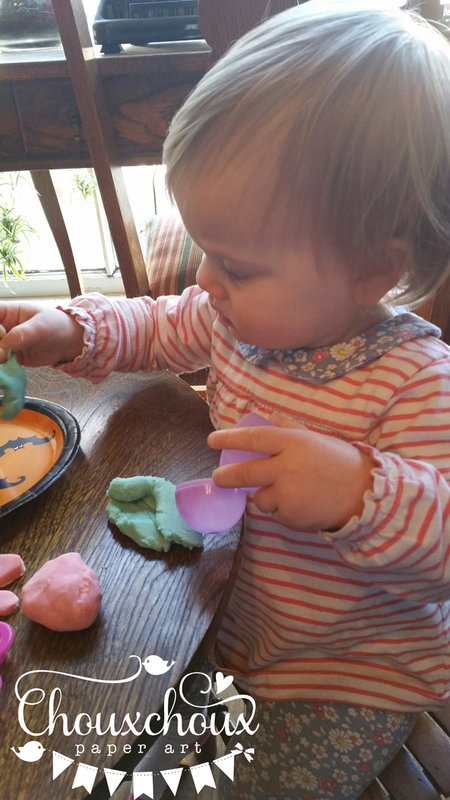 Your little one is simply adorable, and I can just imagine how much enjoyment you got from spending quality time with her. The card is delightful and perfect for valentine's day as well. 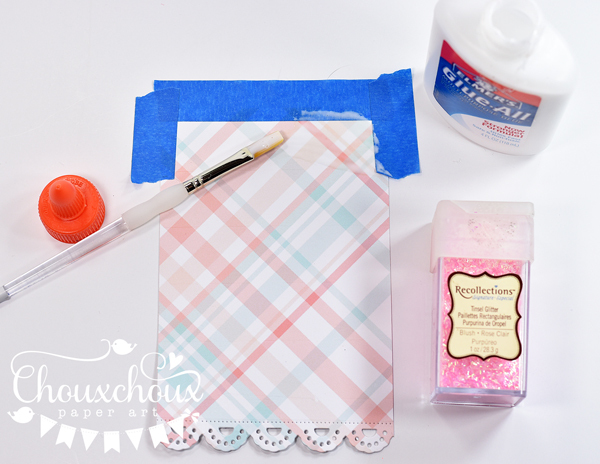 I have had trouble lately finding that larger size of B-Creative - and I find it works better for me than some of the other sticky papers like this I've tried. 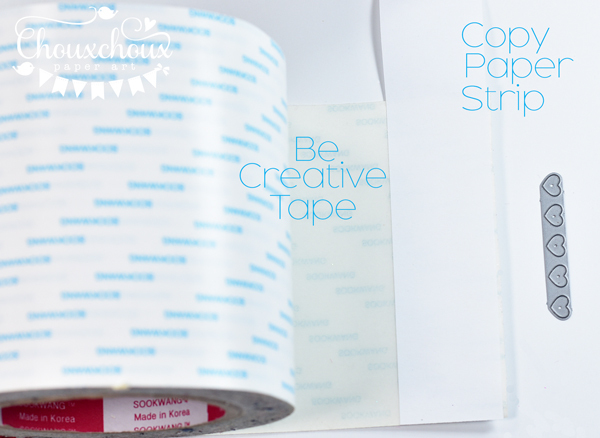 I've got the tape in most of the sizes and find it invaluable. I've never tried the glue as you described, so thanks for that tip. Just became your newest follower, and appreciate your visit to my blog so I could find your blog. TFS & hope you're staying warm in OK. We have a friend in Miami, and he's had some pretty intense cold weather. these are too cute, i love that little lion, i bet your granddaughter is too cute when she does her rawr. I bet it is nice to have an up to date heating system! WOW Lori! Sounds like you've had a mess going on for weeks! The best part of that story was Louisa coming to stay for 4 days! EEK! How fun that must have been for you! :) Your cards are so pretty and I like the glitter on the hearts - Honestly I don't know what you could have done differently.... Some glitters seam to stick better than others - or that's from my experience anyway - Love both projects! Have a great day! Louisa is absolutley a doll. Looks like she was enying the visit. Both cards are too cute. 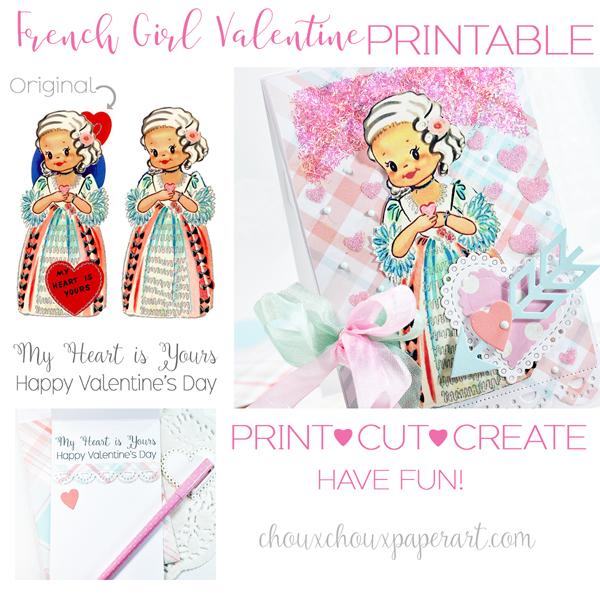 Love the adorable lion and really love the French Valentine Girl. The glitter was the perfect touch. Thanks for stopping by my blog and leaving a sweet comment. your valentine's are so incredibly sweet, but that little Louisa absolutely steals the show!!! total cuteness!! Nothing like trial and error huh. LOL Great tip and two fabulous cards. I can just picture Louisa in the airport roaring. :-) hugs! OMGoodness Louisa is getting so big, and adorable!!! I'm so happy you got to spend a week with here yay!! Not so happy about the new heating.air unit....I bet it costs a pretty penny :-( Super cute cards too!!!! Beautiful! 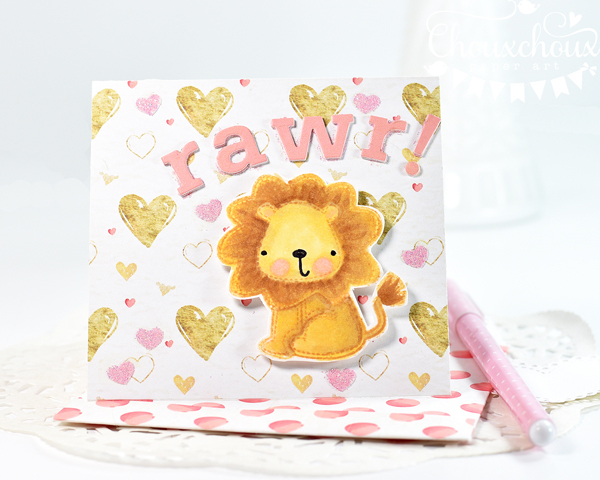 Loved reading about your process and trail and error with the glitter hearts... and that lion... omg... what a cutie .. and i can just see that rawr moment and the airport... awesome!